If you are passionate about improving campus life at Carnegie Mellon, if you have ideas on what can be done better, if you believe that we as a community can do better — or if you’re just interested in free food, elegant wear, and thoughtful discussion — student government is a great way to turn this passion, drive, and ideas into sustainable change. 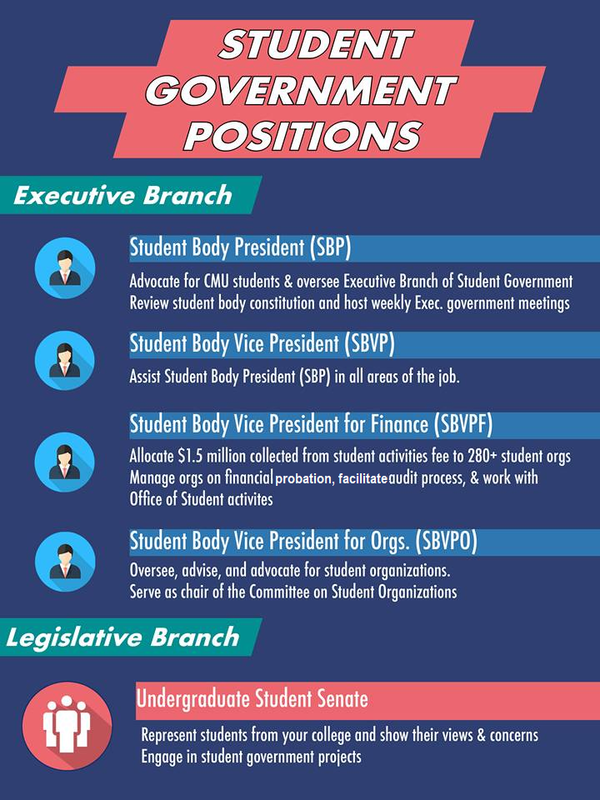 There are many roles available including Student Body President, Student Body Vice President of Organizations, and Senator. We’ll be having a general interest meeting on Feb. 26 at 5:30 p.m. in Doherty Hall 1212 to go over how to set up petitions and run for office. We hope to see you there!